East Aurora School District 131 will host its Fine Arts Festival on April 27 from 9 a.m. to 1:30 p.m. Student artists, musicians and actors, from elementary school through high school, will showcase their talent at East Aurora High School, 500 Tomcat Lane, Aurora. Performances will begin at 9 a.m. in the Arlene Hawks Auditorium. The auditorium lobby, as well as the commons area, will feature art galleries that will be open throughout the duration of the event. Over 750 pieces of elementary artwork will be on display. The Festival will feature dramatic performances in the Little Theater. In the gymnasium, bands from various East Aurora schools will perform musical selections. There will be choral shows in the Hawks Auditorium. And the first-floor hallways will be filled with paintings, drawings, photographs and other student artwork. 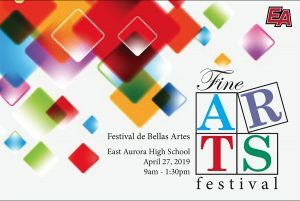 The Fine Arts Festival is a tradition in East Aurora School District 131 for more than 25 years, and incorporates the work of all grade levels. A free activity area will be set up in the cafeteria featuring a balloon artist, face painting, and opportunities to take a selfie with artwork. Brian G. Liska, director of bands at East Aurora High School, especially appreciates hearing the progression of the 5th grade band through the high school wind ensemble. “It is so fascinating to see where these students start, to where they end up, and how much more complex the music gets in really a short amount of time – five to seven years,” said Liska. Liska encouraged families to take advantage of the many different types of fine arts on display. “We want people to enjoy themselves. 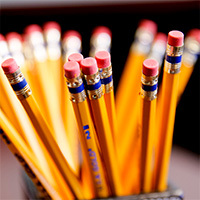 It is meant to be a day to enjoy not just your students’ performance, but get to see other areas that their child might not be involved in,” said Liska. Garett Fair, art teacher at Rollins Elementary, says his students are anxiously anticipating the event. Fair says he’s humbled by the sheer number of participants and patrons at The Fine Arts Fest, and as educator, he looks forward to seeing the pride on students faces when they show off their artwork and eagerly explain the process that went behind its creation. Josh Kukec, a music and band teacher from Hermes and Gates Elementary, values the connections his young performers make with other district students. Kukec believes that those who attend will be surprised by how expansive the Festival is and the number of high quality art and performances that will be presented. Schedules and programs will also be available at the event to guide visitors toward performances. 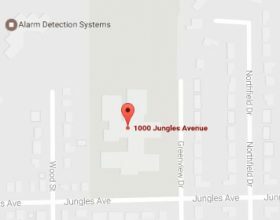 Admission and parking are free.